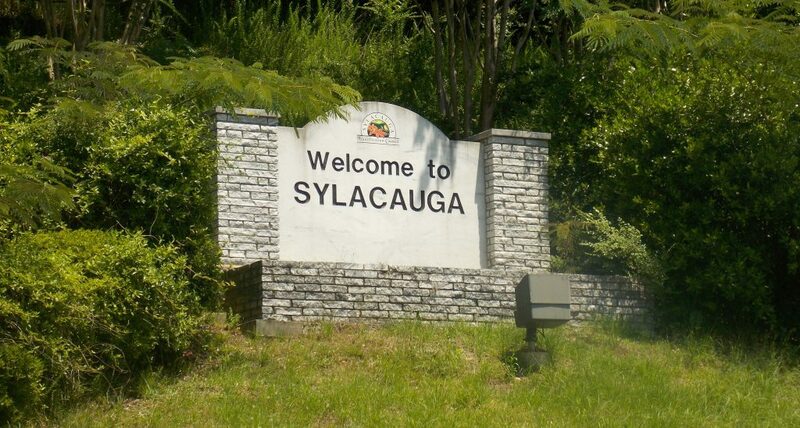 Sylacauga is located in the southernmost part of Talladega County, Ala. Bisected by U.S. Highway 280 and Alabama Highway 21, it encompasses approximately 20 square miles and borders the Talladega National Forest and the Appalachian foothills of northeastern Alabama. Sylacauga is slightly to the east of the geographic center of the state -- some 40 miles southeast of Birmingham, 59 miles northwest of Auburn, 56 miles north of Montgomery, and 41 miles south of Anniston. At the approximate center between these four metro markets, opportunity for economic development is driven from four directions. 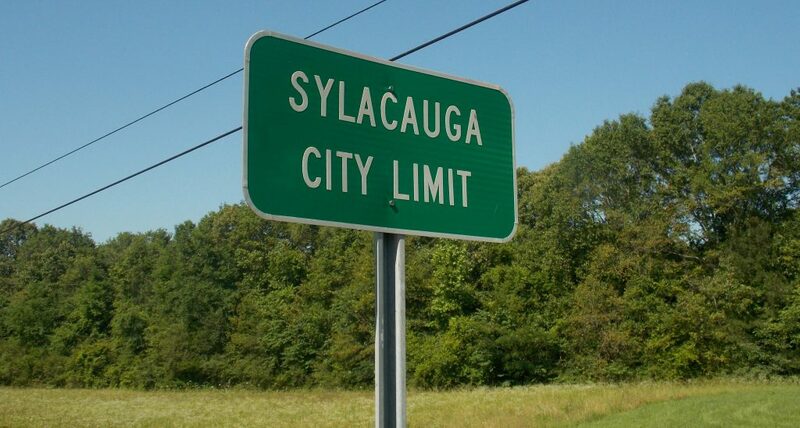 The United States Census Bureau estimates 12,657 residents within Sylacauga's city limits, 26,104 people with Sylacauga addresses and ZIP codes, and 224,220 people within 30 miles. Long known as "The Marble City", Sylacauga sits above a solid deposit of the finest marble in the world -- a bed approximately 32 miles long by 1.5 miles wide and 400 feet deep. Some of the most beautiful buildings in the country have been constructed and/or ornamented with Sylacauga marble. What is now Sylacauga was first mentioned in Hernando de Soto's records in 1540, yet the first settlers in the Coosa River Valley were the Creek Indians. The village of Chalakagay was built by Shawnee Indians in 1748, and the name Sylacauga is a derivative of the Indian words Chalakage, which mean "The Place of the Chalaka Tribe". Established in 1834, the city was first incorporated in 1838 as Syllacoga and again in 1887 as Sylacauga. Today's Sylacauga offers an excellent quality of life in a small-town setting. Recognized six times as one of the "100 Best Communities for Young People" by America’s Promise Alliance, it has an outstanding school system, a family-friendly atmosphere, affordable housing, a diverse business mix, cultural arts, and year-round activities making it an ideal place for individuals and families. The region’s mild climate is picture-perfect for outdoor recreation including golfing, camping, or boating on Lake Howard or nearby Lake Martin, one of the largest man-made lakes in the United States. In addition to rich marble and calcium carbonate-based resources, the city is home to major automotive-related industries and an ice cream plant, its own municipal utilities provider, an award-winning regional medical center, a modern airport, a variety of active community organizations, and significant industrial development opportunities. 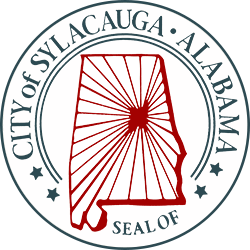 The City of Sylacauga is a municipal corporation organized under the laws of the State of Alabama. 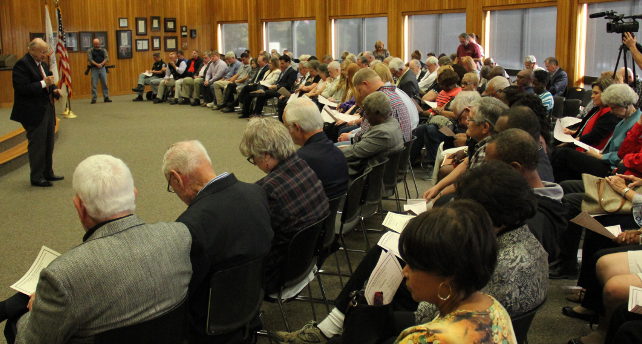 It operates under the mayor-council form of government, with a Mayor elected on an at-large basis and five Council members elected to represent districts, all for four-year terms. The Mayor serves as the head of the executive branch and is responsible for overseeing the day-to-day operations of the City. Municipal employees report to the Mayor through their department heads. The Mayor also makes sure bills are paid on time, executes municipal contracts, and performs many of the same functions as a Chief Executive Officer of a private corporation. The Council is the legislative branch. It has authority over the City's finances and property, establishes policies, passes ordinances, sets tax levels, determines what sorts of services the municipality will offer, and has authority over all other legislative aspects of the City's government. The Municipal Court presides over cases involving municipal violations and criminal misdemeanors that fall within the City's jurisdiction.